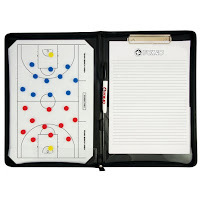 The new Commit to Kids for Coaches eLearing Module is now available to Manitoba basketball coaches to better prepare oneself as a coach on this sensitive, but very important topic. This online training provides coaches with practical information to help them enhance child and youth safety in sport. The goal of the training is to empower coaches and support the great work they are doing with child and youth athletes. 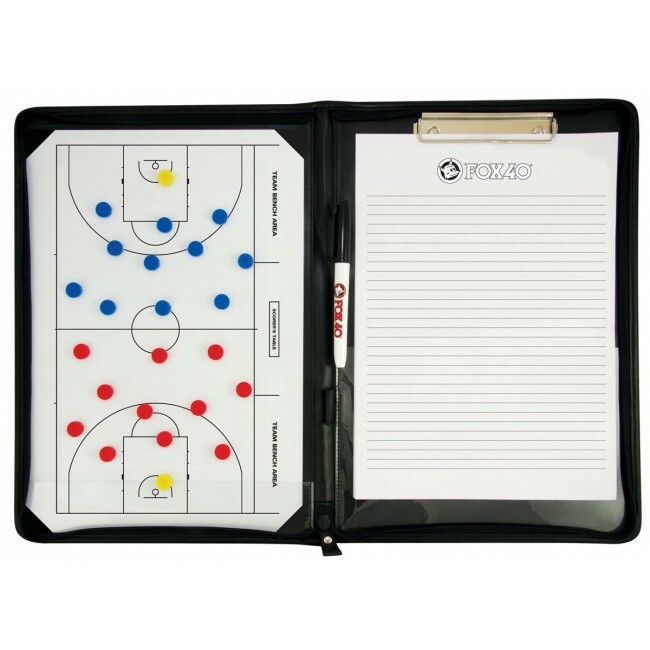 SPECIAL OFFER: The first 10 Manitoba based basketball coaches who complete this course and submit proof before January 4, 2018 will receive a FREE Fox40 Dry Erase coaches board from Basketball Manitoba (a $40.00 value). Send your proof of completion of the course to Adam Wedlake by email to adam@basketballmanitoba.ca along with the name of the program you coach and your full mailing address and a board will be mailed to you! Offer open only to Manitoba based basketball coaches. The Commit to Kids for Coaches online training addresses the importance of understanding boundaries, sexual misconduct and reporting of inappropriate behaviour. The training is delivered through a 2.5-hour online training course divided into 8 separate modules. Once all 8 modules are completed, users will input their National Coaching Certification Program (NCCP) ID number and birthdate prior to starting the multiple choice knowledge validation test to facilitate the awarding of NCCP professional development (PD) points towards maintenance of certification. In addition to the NCCP PD points, a certificate of completion is made available for download immediately once the user has successfully completed the knowledge validation test. * While we use reasonable efforts to ensure the platform is compatible with common devices and operating systems, we cannot guarantee that a particular computer or device will be compatible with the platform. If your computer or device is not compatible, please let us know and we will either address the problem or issue the applicable refund. 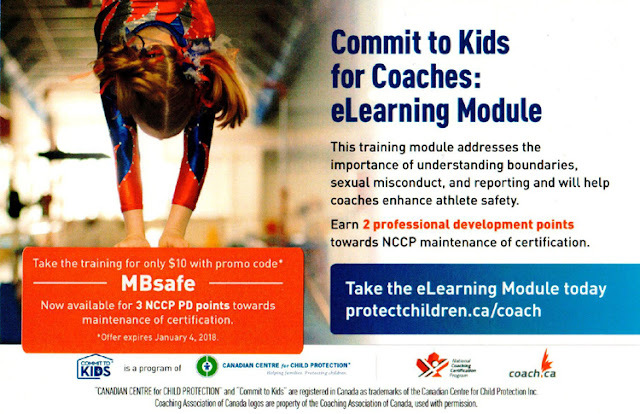 The cost for the Commit to Kids for Coaches online training is $12 per individual (see above promo code) with an NCCP ID number. Access to the training is terminated when the certificate of completion is issued or after 60 days of the training license registration, whichever is soonest. Organizations with 10 or more individuals can inquire about a group rate, as well as how to obtain a free copy of the full Commit to Kids program. The training cost is non-refundable and does not include taxes. Notwithstanding, the Canadian Centre for Child Protection reserves the right to refuse or terminate access to anyone at any time, at its sole discretion. Individuals and small groups must purchase a license to access the training. Organizations with 10 or more individuals can contact us at 1-800-532-9135 to sign-up their team. You will be required to agree to an end-user license agreement before starting the training.